Baby needs a blooming bath! How cute is this bath for baby? Not expecting or a new mommy? This is a great giveaway to win to gift to your favorite mom-to-be. Enter to win the Blooming bath for baby below. Good luck! 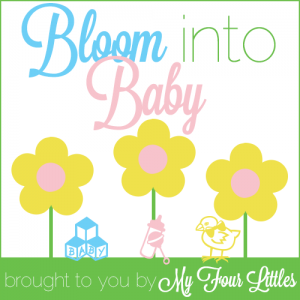 Read Everything Mommyhood’s review- Blooming Bath Review. 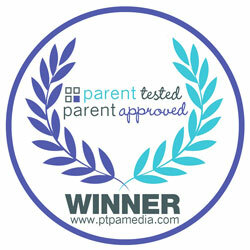 Blooming Bath is Parent Tested and Parent Approved! You can purchase Blooming Bath for $39.99 or try your chances and enter to win below. One lucky reader will win a Blooming Bath in your color choice, White, Blue, Pink, or Yellow. This giveaway will begin 12:00am EST 4/29/2013 and end 11:59pm EST 5/3/2013. Disclosure: This giveaway is not associated with, affiliated with, endorsed by, sponsored by, or connected to Facebook, Twitter, Pinterest, or any other social media platform in any way. Social media outlets are in no way responsible for sponsor prize fulfillment. The sponsor alone is responsible for fulfilling the aforementioned prize. This blog did not receive compensation for posting this giveaway. Your information will not be shared with anyone without your explicit consent. This giveaway event is hosted by Darci from Everything Mommyhood and Four Littles Media. You can contact Darci at everythingmommyhood@gmail.com with any questions, concerns, or to your company featured on an Everything Mommyhoood or Four Littles Media event. I like the white. I would love to keep this for myself, for my little one. We just found out our friends are having a boy, so I would choose the blue and give it to them. Thanks! I’d choose yellow or white for my friend who just we found out is due in November. I would choose the blue one, and I would keep if for my babies. The blue! And it would be going to my sister she is having her first baby BOY!!! I would choose the yellow, because my daughter is expecting in Nov. and we do know what she is having. I would choose blue, and give it to my grandson.. I would choose pink for myself (for my daughter). I would choose the blue one for my grandson! i would love the pink one, and I would keep it for myself i am due in sept.